As you think about gift-giving this season, don’t forget to give your new home a gift of its own. 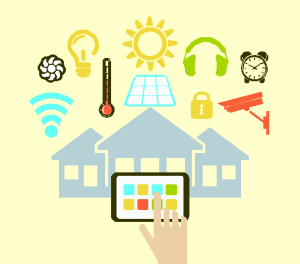 Advancements in technology mean that your home can be smarter, cleaner, cooler or the hottest thing on the market. Here are some ideas for you that are available now or may be coming on the market in the future. Get them on your wish list early. Floor plan light switch: This ingenious little device allows you to control the lighting for your entire homes from a single switch. The floor plan light switch designed by TaeWon Hwang for Yanko Design creates a floor plan of your home on a single panel, allowing you to choose from one location which rooms to light up and which to leave in the dark. Transparent television: Have you ever wished that the television didn’t dominate the décor? Well, now you can have a television that doesn’t upstage the house. Designed by Michael Friebe for German television maker Loewe, and using technology that combines LCD and TOLED displays, the Invisio television is virtually clear when not in use, but offers full color viewing when activated. We can help you find a home that is perfect for your level of techy-ness. Give us a call and we’ll help you find a home for the New Year. Next Next post: Is Painting Cabinets a Good Idea?